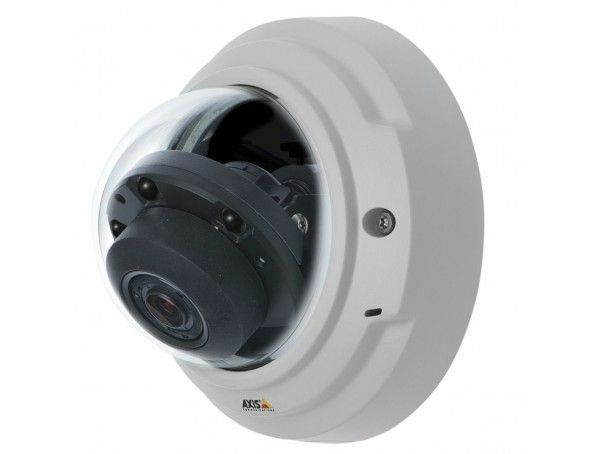 Light-sensitive, day/night fixed dome in a discreet, vandal-resistant indoor casing. 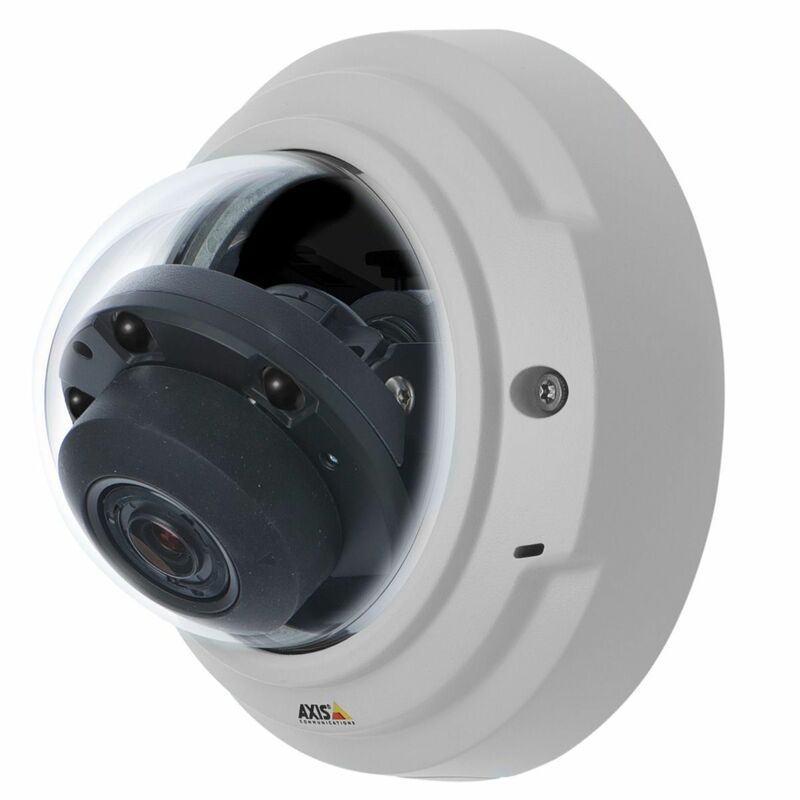 Built-in, automatically or manually adjustable IR illumination. Varifocal 3.3-12 mm P-Iris lens, remote focus and zoom. Multiple, individually configurable H.264 and Motion JPEG streams; max HDTV 720p or 1 MP resolution at 30 fps. WDR – dynamic contrast. Video motion detection and active tampering alarm. Two-way audio and audio detection. I/O for alarm/event handling. SD/SDHC memory card slot for optional local video storage. Power over Ethernet. Midspan not included. OptimizedIR with power-efficient, long-life 850 nm IR LEDs with adjustable angle of illumination and intensity. Range of reach up to 30m depending on scene.